The Spine and Health together! The Spine is the key to all your body's functions, let us keep it healthy and strong. Nutrition, Chiropractic and a Drug Free Lifestyle. Let us guide you there. When life gets tough, let us help you start feeling better, quickly. For more information or to schedule an appointment with our Sarasota chiropractor, call 941 922 9312 today! 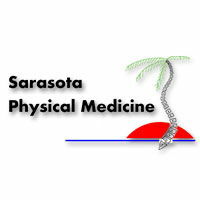 The philosophy of Sarasota Physical Medicine is based on a simple premise: If your body and posture are correctly aligned, then your nervous system will work better and you'll feel better. Taking care of your body is the best preventative medicine. We can help patients recovering from injuries, illness, and stress. Often a combination of Physical Therapy, Massage, Physical Medicine, Chiropractic, and Nutrition can alleviate back pain, joint pain, headaches, neck pain, and other physical symptoms. Dr. Haley & Dr. Lamourt are specially trained to notice the early warning symptoms of spinal dysfunction. Their goal is to help you live a healthy active lifestyle without a reliance on prescription drugs to manage pain. Feeling better really can be that simple. Dr. Haley has been in practice for over 20 years. His many accomplishments are co-author, professor, chiropractor, businessman, father and husband. He started his practice in Rochester, New York and then relocated to Florida, for the palm trees and blue skies. He continues to thrive in his practice, while focusing on the patients unique individual needs. Research on nutrition, health and new techniques are at the forefront of his patient care. He thrives for excellence and his caring manner which is why, he continues to create such as loving and unique environment for his patients. Dr. Michele Lamourt has been in practice for over 18 years. She began her studies in upstate New York and relocated to Florida. She has served on many committees and as the president of the Latin Chamber of Commerce. She is motivated to keep her patients informed on the lastest in nutrition and chiropractic techniques. Nutrition in woman's health and childrens well being through a drugless approach is one of her passions. He background has helped her connect with the hispanic community, with her fluency in Spanish. She earned her physical therapy assistanct degree to expand on her knowledge of patient care with concrete results. She looks forward to meeting you and expanding your healthy lifestyle. "I have been coming to see Dr. Haley for many years. He always knows how to get to the troublesome vertebrae and I come away feeling better immediately. They are really good people and professionals and I recommend their services."